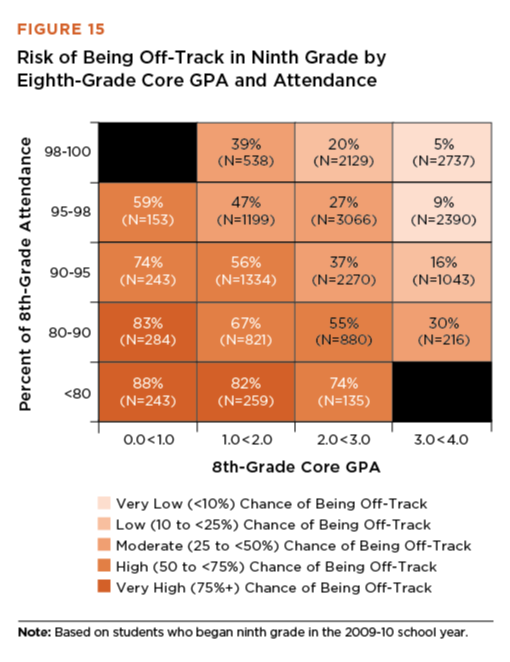 Students’ GPA and attendance in middle grades can help predict (but do not determine) their performance in high school. 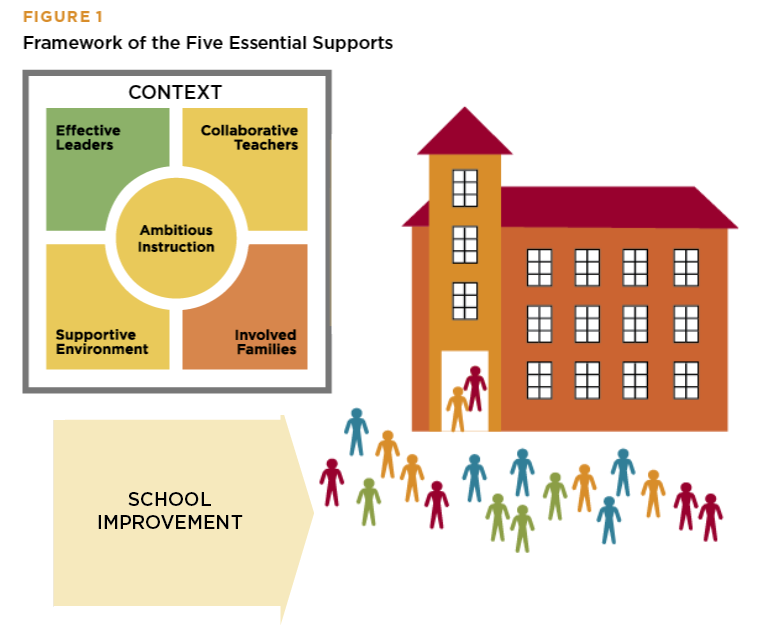 Student test gains and attendance are higher in schools strong in the five essential supports. 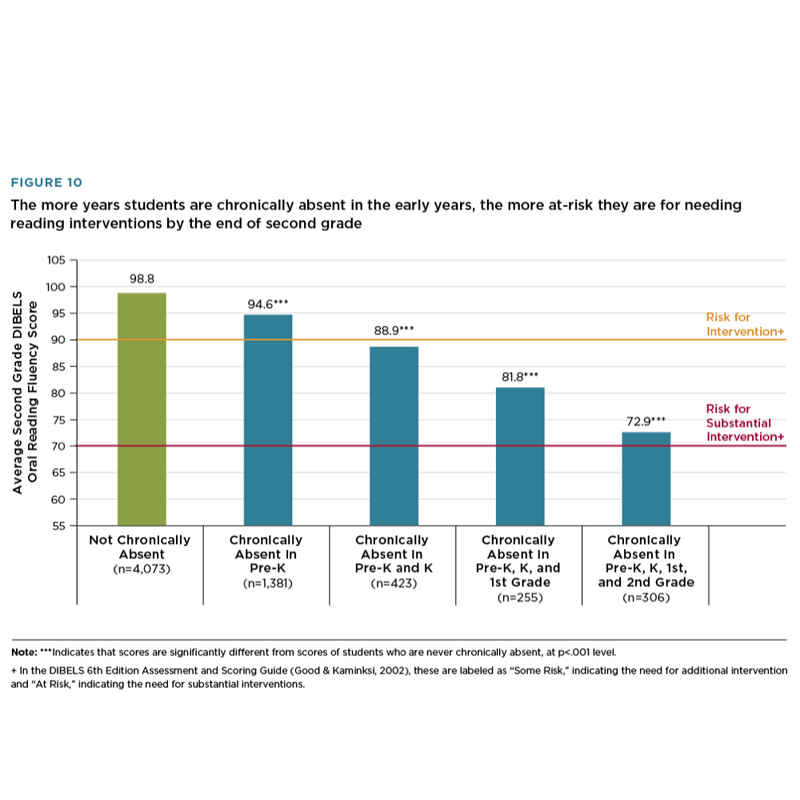 Students who are chronically absent from Pre-K to grade 2 are at high risk of needing substantial reading interventions. Noncognitive factors influence students’ academic performance in their classroom, school, and larger socio-cultural contexts. CPS is serving an increasing population of English Learners (EL), almost 20 percent as of the fall of 2018. Publicly reported statistics on academic achievement show that EL students are lagging behind their peers. The UChicago Consortium is focusing on an in-depth examination of the performance of EL students from pre-k through the elementary grades. Policymakers have called for broadening access to Algebra in eighth grade. In partnership with AIR, the UChicago Consortium is examining whether longer-term course taking and achievement outcomes associated with taking eighth-grade Algebra differ for average and lower-performing students, who may be less prepared than their more advanced peers to take Algebra in eighth grade.